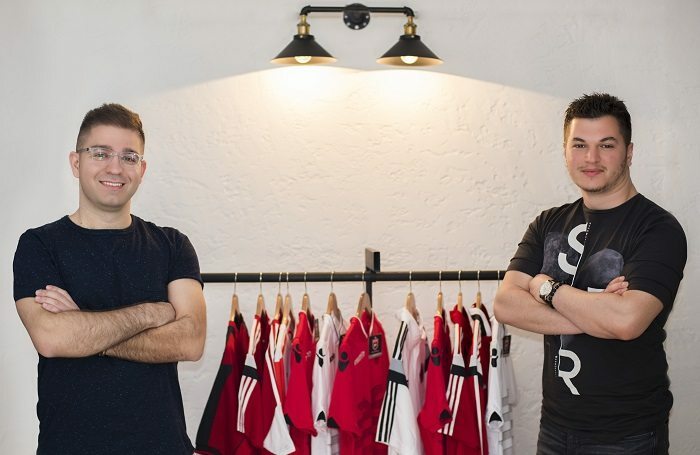 AlbanFootball, an e-commerce that sells authentic Albanian national football jerseys, is a successful startup founded by an Albanian young entrepreneur who after living for many years in the USA, returned to Albania (Tirana) to develop and expand his business. His name is Alban Selami and we had the opportunity to conduct an interview with him. What is AlbanFootball? When it was created and why? AlbanFootball is an online store focused on merchandising authentic products of the Albanian National Football Team other products of Albanian football. AlbanFootball started in April of 2014. As an Albanian and fan of our national team I could never find authentic products of the team that I deeply loved. I was living in New York City at the time and always asked my friends if they knew where I could get these products from. No one had an answer. I even asked friends and relatives in Albania but they had no clear answer as many in Albania sold fake products. I also did extensive searches on Google and still couldn’t anything. I had a light bulb moment and knew this was a problem that needed to be solved and I was determined to make it happened. 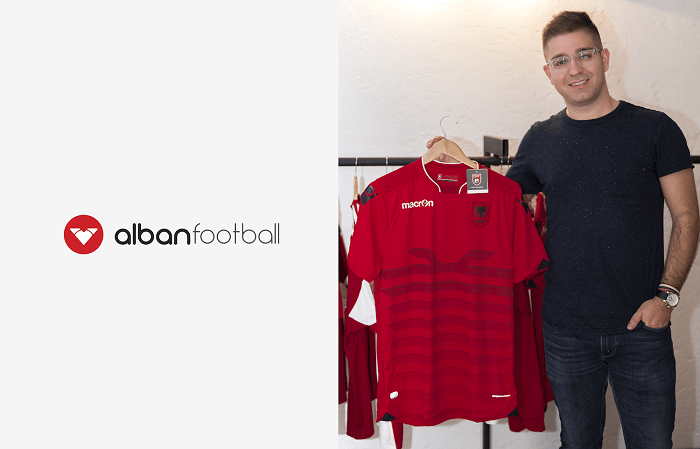 I come from a brand development and e-commerce background and my vision was for AlbanFootball was very simple: to be a brand that stood for authentic products of Albanian Football, that came with amazing online shopping experience and superb customer support at the top. Who is the founder and the team of AlbanFootball? I, Alban Selami am the founder of the company. Eklid Meço is a partner in the company and has been a big part of AlbanFootball since it’s early days. Eklid was a key manager at Adidas Albania and was in charge of keeping the relationship with AlbanFootball. Adidas was AlbanFootball’s first supplier since at the time Adidas was the company that supplied the Albanian National Team. After a year of working together through the Adidas, Eklid and I decided to join forces by partnering and managing AlbanFootball together. We felt that his experience in retail, and my experience in eCommerece could be a good foundation for the future of the business. What other items do you sell and will you offer in the future? We sell the major of the authentic products of the Albanian National Football team that are authorized by the Albanian Football Federation and Macron. We have sold jerseys of Skenderbeu Korçe, the first ever Albanian club to qualify for a major European tournament and are looking to expand with other clubs in the future. We also sell football scarfs. We’re working on a collection of other fan-wear such as t-shirts and hoodies for the Albanian football fan. We’ll continue to focus on focus on expanding the product selection of the Albanian national team wears during practices, team presentations and on the pitch. What differs you from other e-commerce stores who sell similar items to yours? First and foremost, AlbanFootball was started by fans that love our team and country. As Albanians and fans ourselves we understand our customers needs and passion for these products. 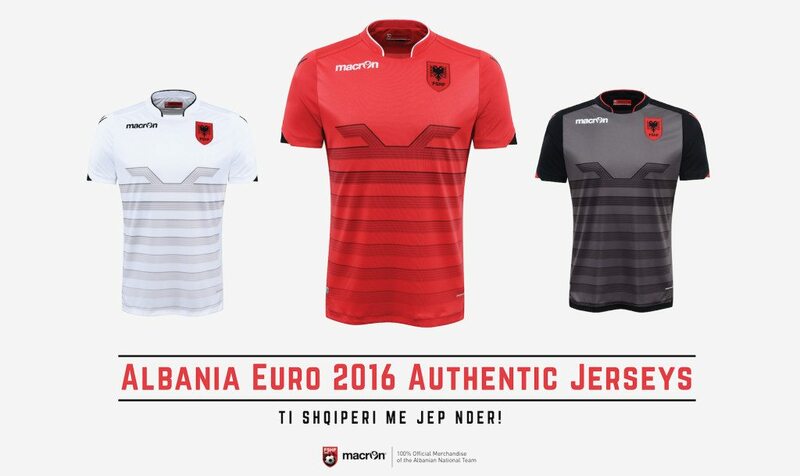 It’s shopping experience for the Albanian football fan when they purchase from our online store. We also keep up with our customers via our social networks, with news and updates related to Albanian football. We see our customers as a community. Also, where we pride ourselves is from our customer support. We offer it in both Albanian and English and are available to every customer need with fast responses whether it’s email or through social media. You chose Albania to do business instead of doing business in the US. Why? After being incorporated in the US and reaching early success with AlbanFootball, I felt that the company needed to be in Albania since the products it sells are related to Albanian Football. I also saw it someone of a patriotic duty by contributing to the Albanian economy. I believe that business can be a force for good. We felt that our customers that are abroad will appreciate that fact as well. Which are the benefits of doing business with Albanians? Lower taxes, low rents, lower services, and wages. Which are the first problems a company faces when doing business in Albania? Incorporating a big business (we are considered such in Albania) can be challenging task. You need to constantly talk with accountants to make sure that you are constantly up to date with taxation laws, as it has to be submitted on a month basis. As far as being an online company, you faced even bigger problems, such as getting paid online. Many companies don’t offer these services in Albania. It’s been a big challenge for us, that we are constantly trying to solve. Should Albanian emigrants open their companies in Albania? If yes, why? Yes. I think it’s important that the Albanians that live abroad that have good ideas, or have developed businesses to consider bringing their ideas and experience to Albania. I am a firm believer that the Albanian diaspora can be a big force for the development of Albania. I do understand the challenges of doing business in Albania, but I am a firm believer that the best days of Albania are ahead. What are your future business plans? We will work to grow AlbanFootball while continuing to offer the same amazing products and service. We also would like for AlbanFootball to be a force for good in the community and we would like to work with the right non-profit organizations soon. We are also in the works to open another eCommerece company that will launch in second half of 2016. It’s a company that we feel will solve another problem and we are very excited about it. Make sure to check out www.albanfootball.com for the latest authentic products of the Albanian National Team and more.